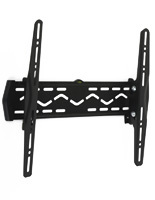 Wall Mount Bracket Sticks out From Wall only 1"
This wall mount bracket holds a 32"-65" monitor that weighs up to 99 pounds. 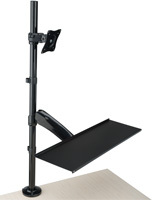 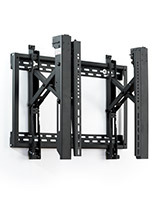 The plasma TC holder is compatible with most VESA measurements between 100x100 and 600x400. 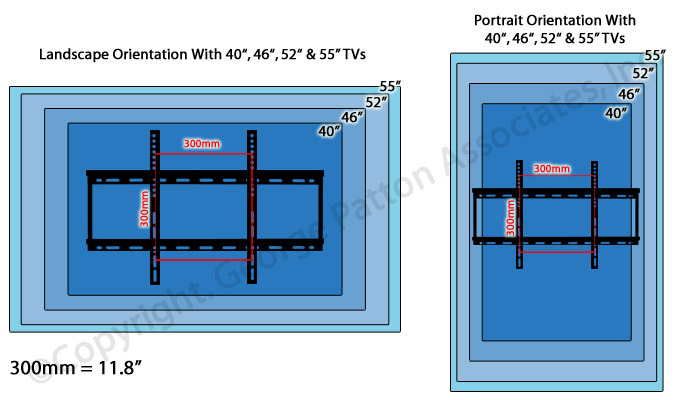 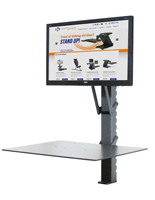 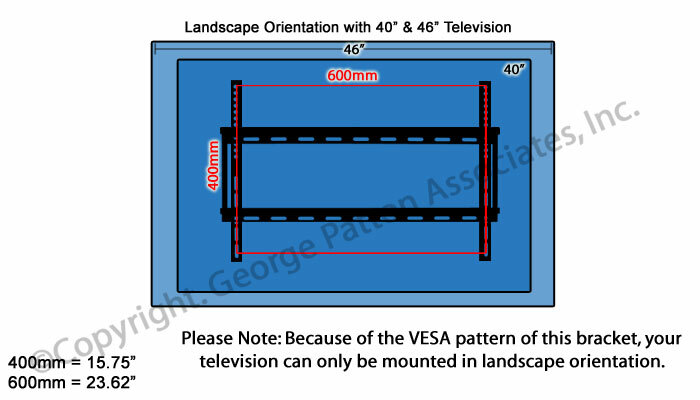 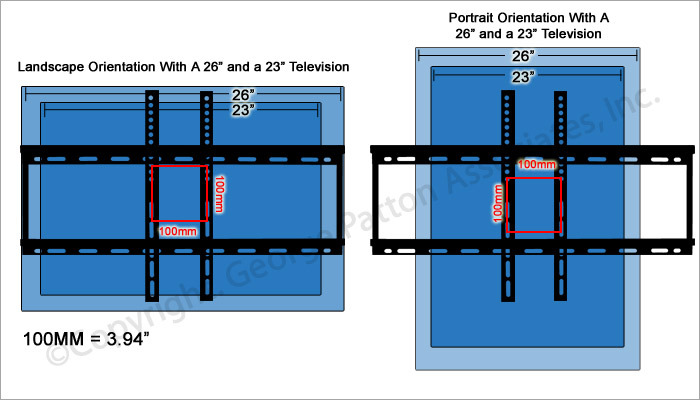 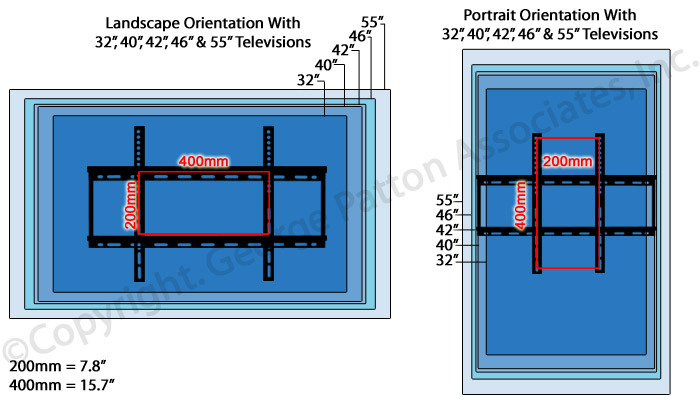 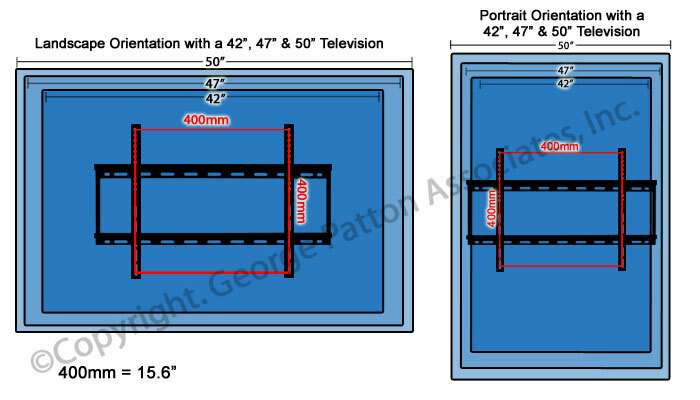 VESA standards are agreed upon with manufacturers of mounts and televisions so that there is a common distance between holes on the back of the monitors for mounting across brands. 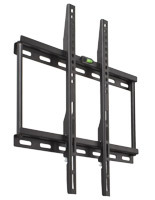 This wall mount bracket is an ultra-thin mount that sticks out only 1" from the wall (without monitor.) 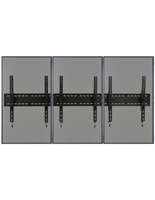 The bracket is therefore ideal for customers desiring a sleek, slim presentation that take up little space. 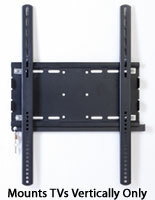 This wall mount bracket, or LCD flat-panel mount, includes all of the necessary hardware for installation into wood studs or solid concrete walls. 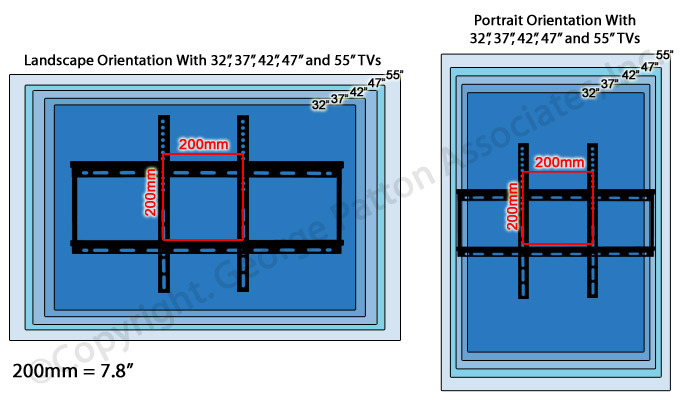 If unsure of your wall type, please consult with a professional. 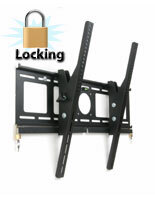 The wall mount bracket is also equipped with a water level for assistance during installation. 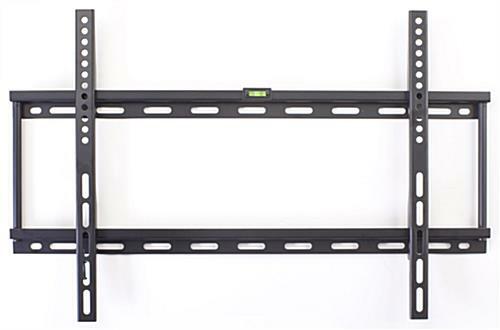 Buy this wall mount bracket for flat-screen monitors today! 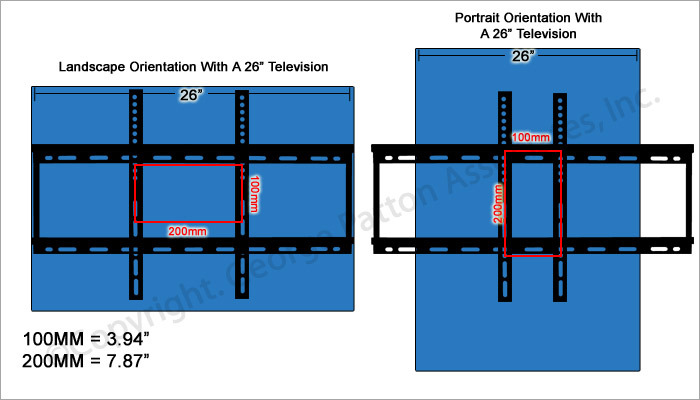 26.5" x 9.0" x 1.0"